Description: Digitization provided by the USF Libraries Digitization Center. Rare Maps. 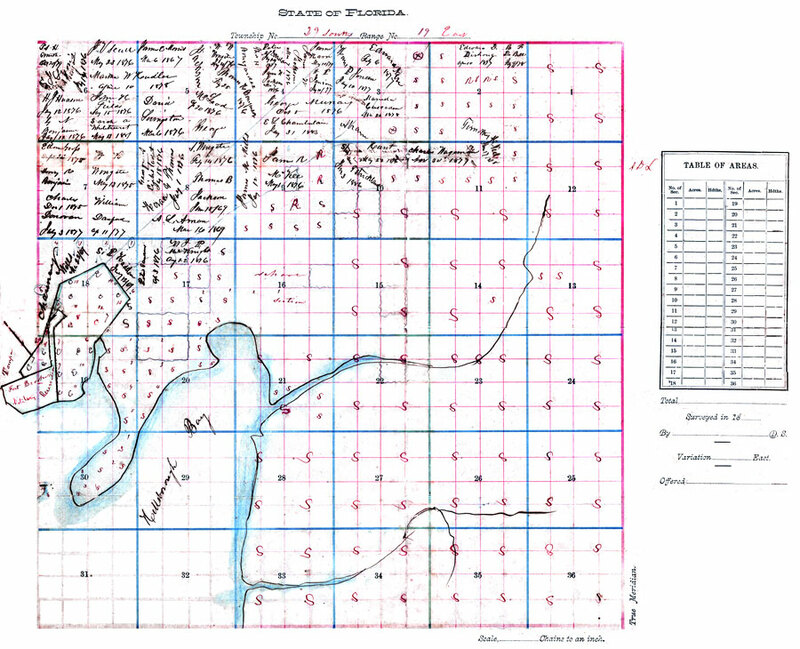 This is the plat of Ybor City area, circa 1886. It shows names of land owners, inland waters, cities and towns. Section Township Range (STR) is shown. Note on map states that it came from the "personal life of Gavino Guitierrez." Measurements.Dimensions: 43 x 35.5 cm.